Paul Saber had no intention of spending his life’s work in the restaurant business. Even so, he opened his own hot dog shop, Saber’s Coney Island in New Baltimore, Michigan, right after earning his degree in political science and psychology. The young entrepreneur intended it to be a bridge before entering law school, which was his dream. Although the hot dog shop was just a stopover of sorts, Saber said he especially relished the winter months, when his older brother Mark came to work for him during the off-seasons of the Pittsburgh Pirate’s minor league farm system. Mark enjoyed the business, too, eventually opening his own McDonald’s franchise in Indiana. “He really fell in love with the restaurant industry,” Paul Saber said. While Mark thrived under the Golden Arches, Paul entered law school. Mark, his wife Sarah and their three children were involved in a horrific car crash involving a coal truck. Only the two older children survived. He not only lost his best friend, but also the man who led him to the Lord. It was on Christmas Day 1975 that Mark and Sarah baptized 18-year-old Paul in their bathtub. “We were pretty good Catholic kids but we didn’t’ know much about the Lord,” he said. Mark’s death was a deep loss, and as Saber worked through his grief he leaned on his faith and family. “I probably thought I was going to live forever until the morning that my brother died; then I realized that we are guaranteed nothing,” he said. “We are not guaranteed the next breath. That created in me an urgency to live for the Lord and stop living for myself. Saber quit law school and started franchise training with McDonald’s, eventually buying three stores in the Atlanta area. After his wife, Dianne, and their son developed asthma, they relocated to New Mexico where he opened 14 franchises. 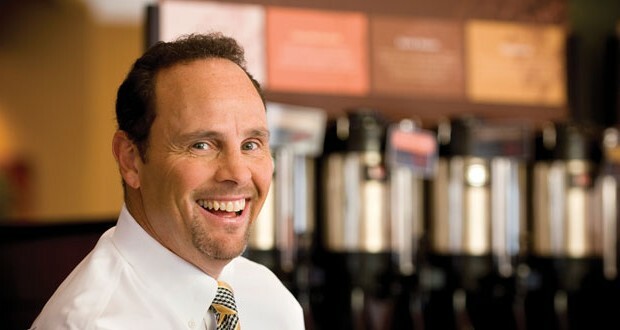 Over time he became involved with several McDonald’s committees and eventually sold his New Mexico stores to work for the company’s Chicago headquarters. 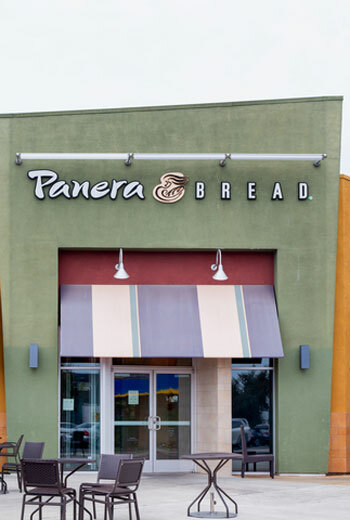 He secured rights to the Panera Bread and Bakery Cafés in the San Diego region and launched Manna Development Group. When considering the company name, he turned to John 3:62. “It’s where the Lord talks about He’s the Bread of Life,” Saber said. “We were getting ready to open up a bakery. I thought what more appropriate way to signify who we were as a bakery, that the real Bread of Life is Jesus Christ? In addition to San Diego, Saber also acquired market rights to Orange County and most of Los Angeles, naming them Risen Our Daily Bread and Risen, respectively. His franchises in Michigan come under the banner of Bread of Life. He now owns 78 franchises, including one in Indiana, and expects to acquire as many as 20 more. In all, Manna employs 2,980 people. “We’re looking always to expand,” he said. The yeast of Manna’s operation is giving, a trait he attributes to his parents, who raised him and his five siblings to serve others, which often meant volunteering to shovel snow for the neighbors. His faith, he said, only served to enhance that giving spirit. Manna’s motto is the Golden Rule, which is manifested through an in-house initiative called Share the Dough. About 50 percent of his employees have opted to contribute to the project through payroll deductions. The program began as a missions support endeavor to construct churches and schools in underdeveloped countries. Closer to home they reach out to the needy at Christmas and Thanksgiving. Over time, the program has expanded inward, offering grants to employees facing financial hardships. “As that program grew we started to recognize, as our organization grew, that within in our own company, our family of employees, they had needs—in many cases needs we would have never known about,” the CEO said. All of it, Saber said, is an effort to show the gospel in action, not just words. In addition to his corporate work, Saber has served on a variety of boards, including the Billy Graham Evangelistic Association and Samaritan’s Purse. He is also chairman of the Issachar Initiative, which is assessing worldwide ministries in an effort to more effectively reach the four corners of the globe with the gospel. 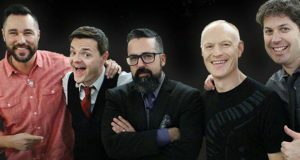 “I’ve surely recognized in my life that every one of us are uniquely created and every one of us are uniquely positioned exactly where we are at the exact moment in time and so what we do with that positioning and that uniqueness that God’s created in us is going to determine how God uses us going forward,” Saber said. “So instead of worrying about what am I going to do in five years for the Lord or what am I going to do in two years or what is my company going to be like, what am I doing with it today? How am I using the resources he has blessed me with today? Saber admits that he had no idea when he opened his hot dog shop at age 22, that his career trajectory would lead away from law school and back to food service. “Back then I was envisioning my life and what I wanted,” he said. “The Lord changed all that. So I don’t ever envision anything other than just how blessed I am. I’m exactly what the Lord promises. He can take things that are foolish and confound the wise. I was a semi-good student, came from a modest home and the Lord has done all of it.